Let us welcome you to Litchfield, a quintessential New England town, steeped in history and tradition. Home to America’s first Law School, founded in 1784, and The Litchfield Female Academy, a school of higher education for women founded in 1792. Litchfield was designated Connecticut’s first historic district in 1959. The vast majority of the elegant and substantial homes that line the borough streets and outlying areas are still preserved today as single family residences. One of our local jewels is the White Memorial Foundation, a 4,000 acre wildlife preserve dedicated to the environmental conservation of its beautiful land. White Memorial is open for the public’s enjoyment of its Museum, campsites, streams and many trails. Much of Bantam Lake’s shoreline and Bantam River tributaries are on White Memorial land. Bantam Lake is the largest natural lake in Connecticut and encompasses over 900 acres. 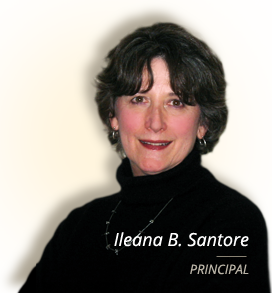 Marrin Santore Realty also has a long, traditional history. Our agency has been selling real estate since 1930 - longer than any other real estate agency in Litchfield. Founded by Jean Fyfe Marrin, her son Oswald Marrin took the helm in 1952. Marrin Real Estate was purchased in 1994 by its current owner, Ileana Santore, and has twelve agents on staff, including Ileana’s son, Marcus and Oswald’s daughter, Palmer. All of us at Marrin Santore Realty are committed to providing the best real estate service possible in today’s changing world. We look forward to helping you settle in our fine community.